There are certain types of clothes which no matter what our occupation, fashion style or lifestyle is, we all own at least one. I think that the hoodie belongs in this category. A hoodie (also called a hooded sweatshirt or hoody) is a sweatshirt with a hood. They often include a muff sewn onto the lower front, a hood, and (usually) a drawstring to adjust the hood opening. Hoodies are truly a brilliant invention. Depending on the fabric they are made from they can be used all year round. They keep us warm in the depths of winter, they will take the chill away during late night spring walks and they do look good. With 1000s of colours and designs to choose from everyone can find something they like. For us they are an essential part of our wardrobe and I cannot imagine not having one. Handy big pocket to keep your hands warm but also to store whatever needs storing whilst out and about – packet of tissue, car keys or even a wallet will fit there without any problems. The hood to keep your neck warm and of course to keep your head warm when needed. It is the perfect protection against any wind; especially considering with the draw strings you can adjust the opening and make it fit you snugly, just as you want it. I was sent my chosen hoodie from Universal Textiles. I picked an XL size so that I can share it with Mark… this was the original idea but it didn’t work out so well for me. Mark claimed our new hoodies as his with one simple statement – “Oh, come on, this is not really your size”… so here I am… my good intentions of sharing were turned against me and I lost a hoodie… but it is not a biggie… I can always try and “steal” it back from him when he is not looking, or wearing it 🙂 or I can just buy one for myself. Universal Textiles carry almost 2000 different hoodies so there is a lot to choose from. For me the beauty of the hoodie is that depending on what you wear it with it changes its look and gains a totally new feel to it. Add tracksuit pants and trainers and you are in full sport mode, but add skinny jeans and some high heel boots you are ready to hit the town with your friends for a Saturday shopping spree. Some people think that hoodies are made for nerds or chavs or they belong only in a young persons’ wardrobe, but they don’t. They come in many shapes and forms; including women’s cut which can be very flattering. Many older people wear them these days – why? Because they are brilliant and will keep you warm when needed. Also many big names like Tommy Hilfiger or Giorgio Armani have used them in the past as a primary component of their collections. Can fashion names like this be wrong? Despite everything or whatever others might think, I love my hoodies! Do you find them, as us, an essential part of your wardrobe? I received one hoodie from Universal Textiles for free for review purpose. All opinions are honest and my own. Baby #ootd – Beige or Blue? Yep, hoodies remain a staple of mine and the hubby’s wardrobe. Children are still a little too young. I sometimes question whether we are now too old for them. But, yes, they are just too comfy to consider ‘opting out’. Hoodies I love them so versatile. I love my hoodies, especially in Winter when I pull the drawstring tight to keep my neck warm. I don’t think I actually own one, I must be missing a trick! I don’t have a hoodie but the hubby, son and 2 daughters do. I feel a bit left out now, come to think of it! I only have one. It’s sleeves are too short and the zip doesn’t work anymore. Time for a new one I think. I love hoodies! I don’t own as many as I used to. They are so comfy! I’m sure I will come my uni start but my son has one on everyday of the weekend and during holidays! you can’t go wrong with a comfy hoodie. 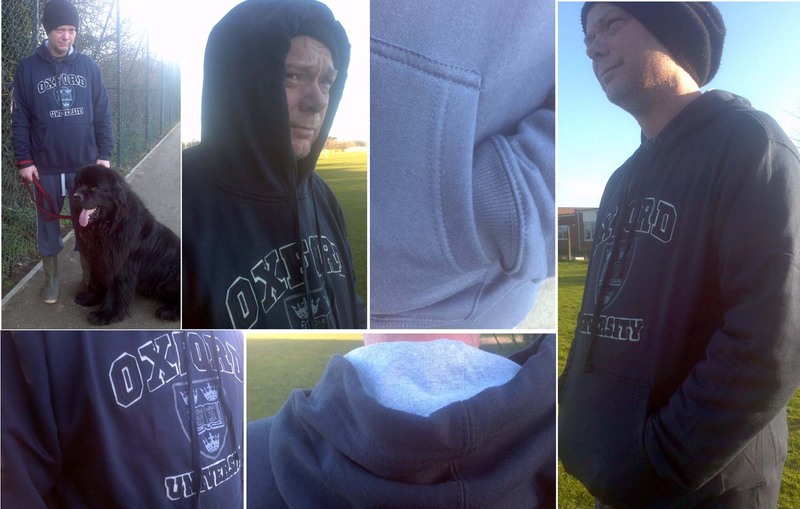 I had a hoody at uni and I loved it….don’t have one now and miss it! I have to say I’m not really a hoodie type of person. I prefer a nice big cardi I can snuggle up in! My son loves them though! I don’t have any at the moment but I’m meaning to buy a new one to wear at home and be comfy! I don’t think I’ve ever owned a hoodie in my life! My son loves wearing them though – they keep him warm! Love hoodies, I have my Gap one that I wear when its cold and one I wear with PJ’s, not chavvy at all. I love hoodies. I have knitted fitted ones for the day, and a huge oversize mans one like the one in your pics which takes the place of a dressing gown!